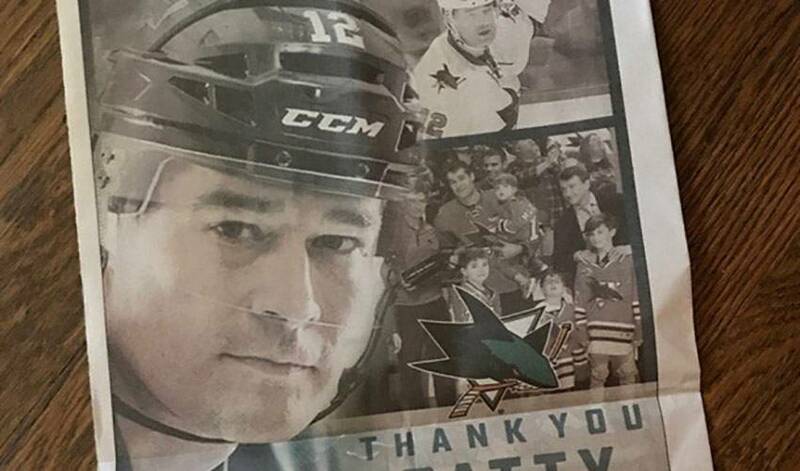 Not the San Jose Sharks - who used a good old-fashioned newspaper ad to thank Patrick Marleau for 19 years of service in teal. The special tribute ran in the Sunday edition of The Mercury News. Marleau, orginially drafted second overall by the Sharks in 1997, played in 1,493 games while tallying 1,082 points (508 goals, 574 assists). While we're not sure if Marleau has a subscription to the paper, you can be sure the new Toronto Maple Leaf saw the ad. Marleau signed with the Maple Leafs earlier this month July 2 on a three-year deal worth $18.75 million. The Aneroid, Sask. native will make his debut in blue and white Oct. 4 on the road against the Winnipeg Jets, while Oct. 30 will mark his first return to SAP Center.